We are here, streaming energy, offering suggestions and gentle reminders that you are a multidimensional being of great skill with a great desire to serve. These are miraculous, wondrous times. Humans are expanding into their full powerful potential as the multidimensional beings they truly are. Your news offers examples of the incredible abilities of multidimensional beings, the story of the young blind man who senses sound vibrations bouncing off objects as he clicks like the dolphins. He has stepped into his potential functioning like a sighted person. The psychologist who shared his story about the miraculous closing of the entire ward of declared criminally insane patients who were restored to balance. He was aware that by healing himself, it would offer the patients healing because he knew with certainty they were a part of him. There is powerful potential within, which humans are discovering. Your reality is unlimited, infinite, ever expanding. 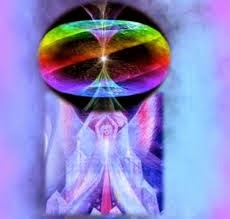 Each day there is news which declares another wondrous, amazing ability that has been discovered and revealed by humans who are claiming their true identity and their multidimensional reality. We wish you could only see yourselves as we do--bright oscillating frequencies of color and light, pure potential, pure creative energy. These are exciting times on your planet, an awakening, a turning, an expanding. You have a front row seat. You have the winning ticket. You have the awesome opportunity to allow yourself to expand into your unlimited reality and unlimited ability to claim and own your multidimensional gifts. You are invited to release the old programs that limit your thinking. You are invited to release the old emotions that keep you vibrating in a dense form. You are invited to release the concepts of what you think is real. You are invited to step out of your self created, self imposed limitation box. You are invited to honor your magnificence every moment with every breath. You are invited to hold and radiate a pure frequency of joy, gratitude and appreciation. You are invited to stay in the chalice of your heart, offering compassion and forgiveness. You are invited to practice the frequency of pure love. These suggestions will assist you in claiming the wonders of who you truly are as an emissary of the galaxy, as an aspect of the divine creator, as an aspect of the one cosmic heart. Step into this day with a true sense of gratitude. Claim the magic and wonder that is yours. Breath life into your dreams, your moments, and make them gifts to one and all.